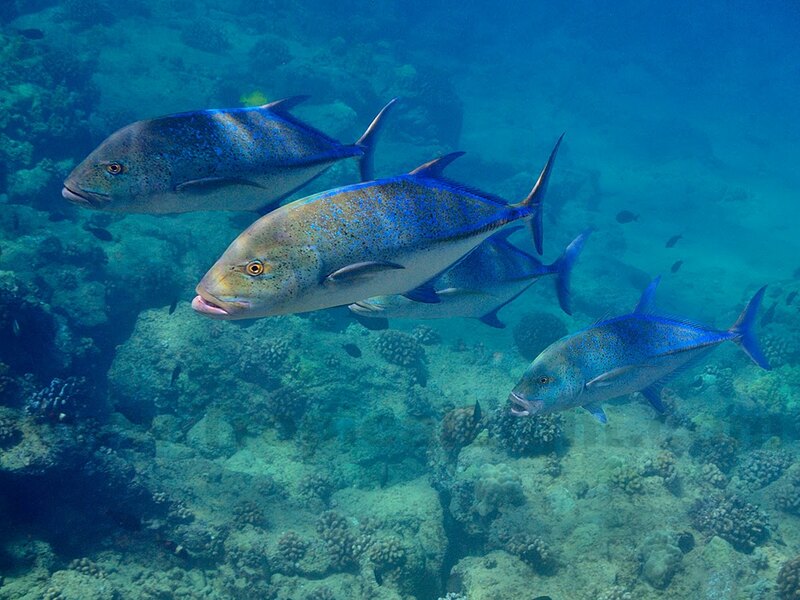 Blue Ulua always look to me like a gang of thugs out to rumble. This group often swims by to check me out at the beginning of my morning ocean swims. Once they decide that I don't look very tasty, they swagger away. Yes, the first time saw them it reminded me of being in the wrong part of Chicago. They definately have attitude!